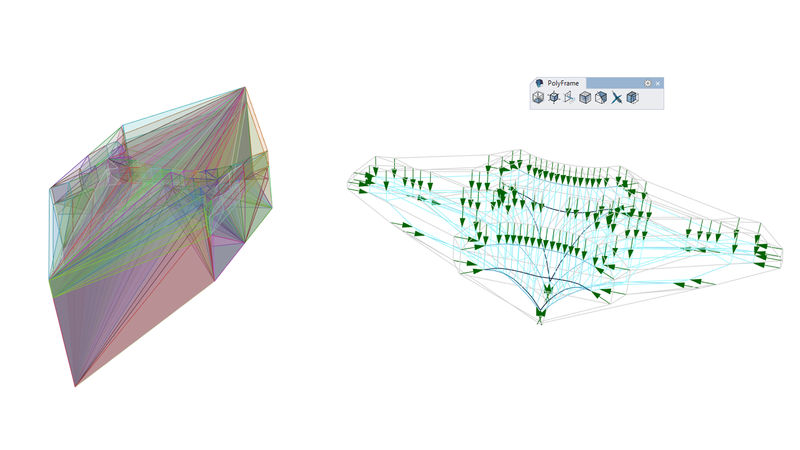 PolyFrame is a computational framework for form finding currently developed as a Plugin for Rhinoceros software. 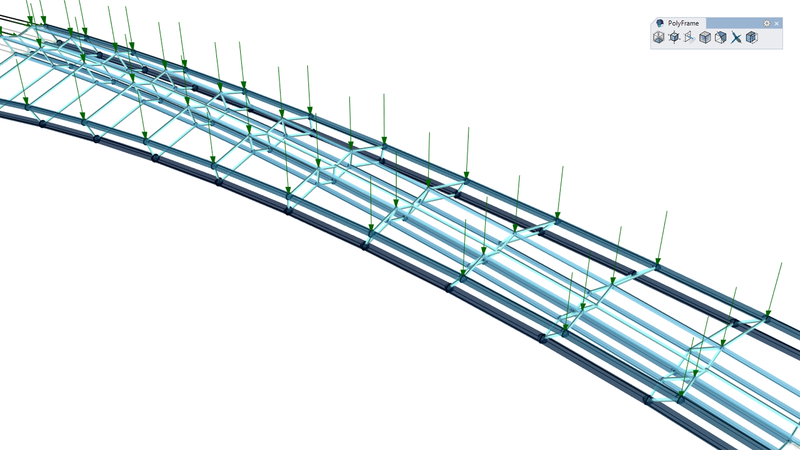 The tool allows the construction of reciprocal polyhedral diagrams of 3D graphic statics for conceptual structural design purposes. 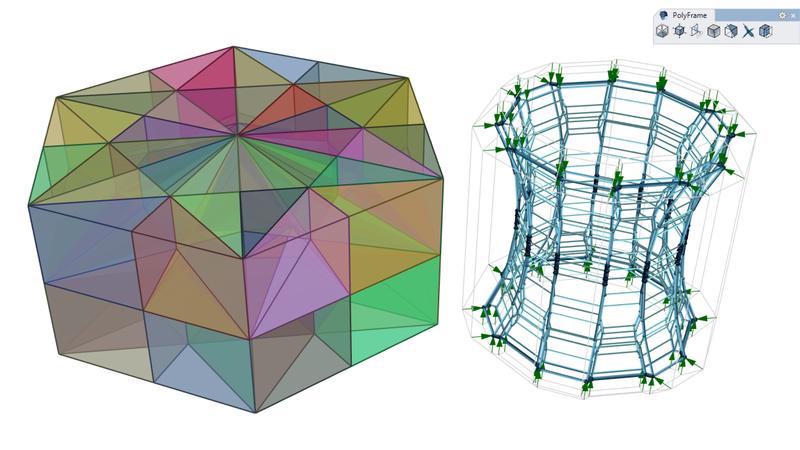 It will enable designers to use the intuitive aspect of 3D graphic statics by designing the force diagram as a group of polyhedral cells and find non-conventional, spatial funicular structural forms. A designer can meticulously develop efficient structural forms by controlling the magnitude of the internal forces that are represented by the area of the faces in the force diagram. 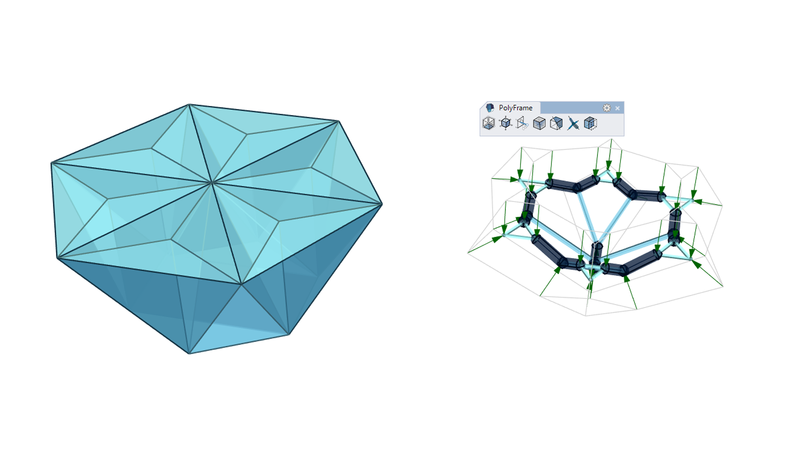 The tool also is equipped with parallel manipulation tool to control the edge lengths of the polyhedral diagrams as well as a robust planarization algorithm that is necessary for the reciprocal relationships between the form and the force diagrams. This work was supported by the Department of Architecture, Chair Winka Dubbledam, and the School of Design, Dean Frederick R. Steiner, University of Pennsylvania.